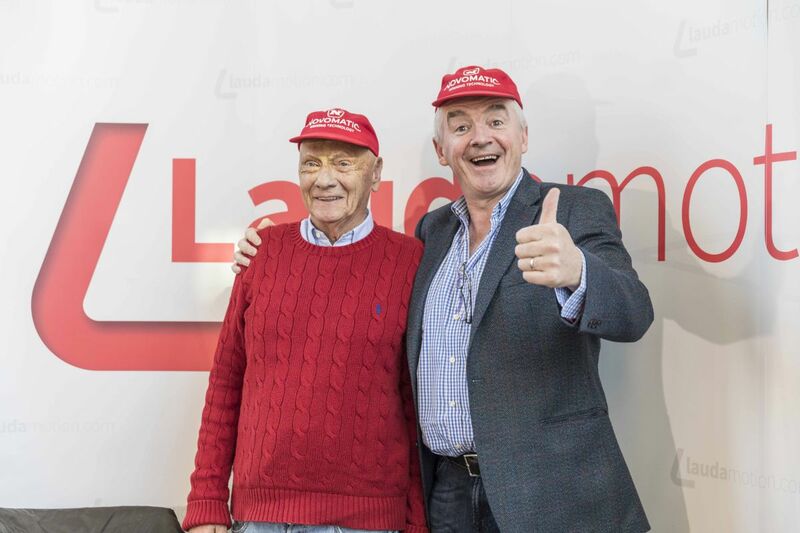 Ryanair CEO Michael O’Leary and Laudamotion Chairman Niki Lauda. The Greek islands of Corfu, Crete (Heraklion), Kos and Rhodes are among the 17 “sunshine destinations” the new airline Laudamotion will fly to in summer 2018. Laudamotion is a new Austrian low cost airline founded by former motor racing champion Niki Lauda. Last week, Laudamotion and Ryanair announced a new aviation partnership where the Irish airline will initially take a 24.9 percent stake in the new Austrian airline, which will increase to 75 percent subject to approval by the EU Competition Authority. On Wednesday, Laudamotion and Ryanair announced details of the new airline’s summer 2018 schedule with a total of 21 aircraft operating from nine cities in Austria and Germany from June. 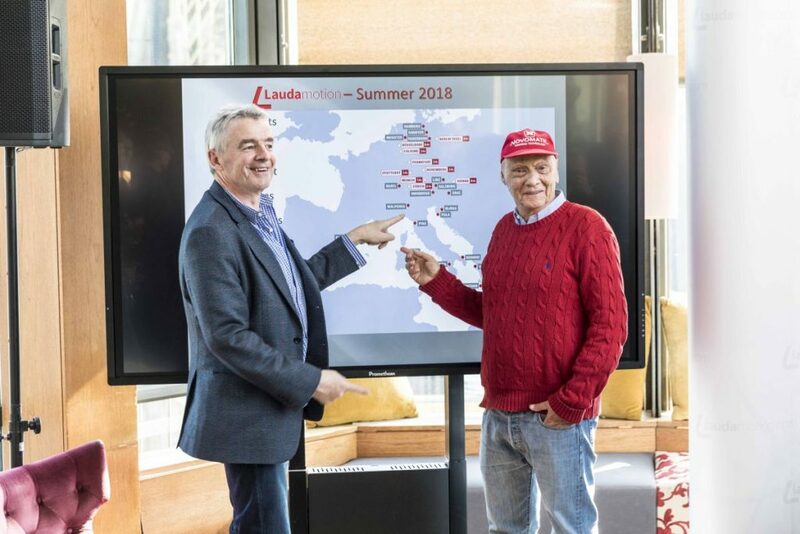 Laudamotion’s agreement with Ryanair will allow the gradual growth of the airline in Austria which currently has a fleet of ten Airbus aircraft. Ryanair will provide financial and management support to Laudamotion as well as six wet-lease aircraft for summer to enable the airline to complete the planned 21 aircraft flying program from June. Four aircraft will be based in Vienna, four Laudamotion aircraft will be based in Berlin Tegel, six in Dusseldorf, one each in Cologne, Frankfurt, Munich, Nuremberg and Stuttgart respectively, with two in Zurich. The new Berlin Tegel base of Laudamotion will open on June 1, offering low fare routes to 17 “sunshine destinations”: Barcelona, Brindisi, Corfu, Faro, Fuerteventura, Heraklion, Ibiza, Kos, Lanzarote, Las Palmas, Malaga, Milan Malpensa, Palma de Mallorca, Pula, Rhodes, Rijeka and Tenerife. The routes are on sale on the website of Ryanair.